A tracker is something like a request done to the browser to make your activity shared, information recorded or else the required action done. A tracker can be in shape of java script, an iframe or else a cookie. Coming to the cookies, a cookie actually a kind of small thing which is dropped on to your browser by the websites to collect the data anonymously which may help them to advertise better or to show the right advertisements. Facebook uses the same kind of cookies for it’s like button plugin also to confirm that whether you are logged in to the site or not. Not all the cookies can be termed as the dangerous so let’s see what’s behind the game! These cookies which often keep a track of your session history that whether you are into the Facebook or not send the requests from the third party sites where any Facebook like button may be present. The requests are actually transfers of the data from that visited site to the client and back to the original Facebook server. Thus, these requests may seek your: “Browsing History, Clicks and Visited Sites and Information on the internet“, Such third party requests can’t be traced with normal browsers since a common Facebook user never knows what’s behind the scene. These requests often keep a track of the data and then transfer that back which makes the site load time really awful and plus if you got a slow computer then it will become a problem for you since it will make the site load slow and can even make your browser to not respond even. Disabling such requests will really help you! Scary thing: They can identify you! The scary thing is this that common ad companies may treat you as a number while tracking you, as I know that most of the ads often collect data out of your computer to show the better ads via the cookies or via other trackers but when it comes to the Facebook it becomes really scary since they got your ID and then they can trace you out. That’s Scary! Yes! That is true, the new open graph applications can even share at your behalf without your consent. Like you listen to some music, you read a short essay or something like that, a site enabled with the applications and that application with your profile access permission specially “Can post on your behalf” can actually share the story without your consent. However, you should always be careful while giving such auto sharing permissions with Facebook Applications.They call it as Frictionless sharing, So whenever an application uses it then stay away from that otherwise people gonna know your activity. You can easily do that, Just delete any cookies which you get from the Facebook stored inside your browser and you are done. Detailed tutorials to avoid all this will be published next time. Till then be sure that you subscribe to the tutorial list just below this through the forum. It was a normal day and I was using the Facebook. I had to create another Facebook account and then when I created a new account from the same browser, the new account had the same suggestions of the friends which I had in my Facebook. Now, What it shows? 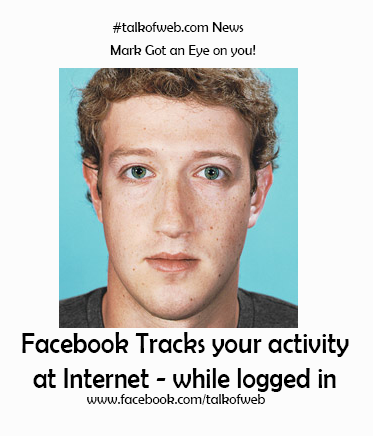 That Facebook keeps track of you that you are the same person who was logged in using the same browser? What if it’s a public computer and then any computer expert can examine the cookie and can view it later that you accessed your Facebook using that. 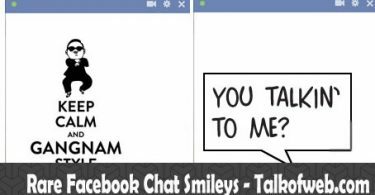 Facebook has recently reported that they just modify the cookies once user logout of the Facebook and the don’t keep a track of the user when he logs out of the Facebook. But I’ll recommend you to clear your cookies to avoid any evidence against you. 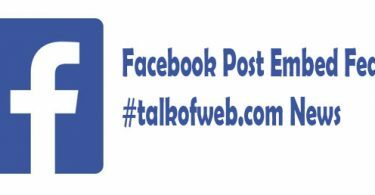 Facebook Introduces Post Embed Feature – Things You should Do!